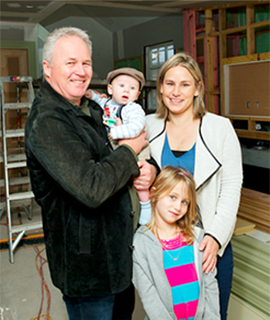 Our Resident Builder, Peter Wolfkamp is a familiar face to many, having guided novices through 5 seasons of TV3’s The Block NZ. His career began way before that though, 1987 to be precise! Peter had worked on a variety of projects – restorations, new-builds and of course renovations! 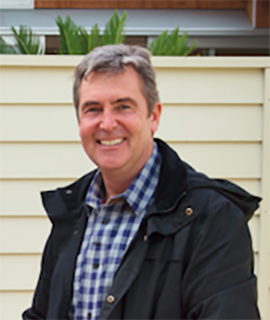 Throughout this series of Creative Living, you’ll see Peter and his team, guide the Graham’s through their renovation, stopping to share some DIY transformations along the way that you can try at home! Kate Alexander, of Places & Graces believes every space has beauty and that we all deserve a little of our dream home in our reality. 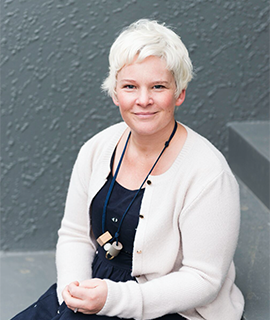 Her passion is to inspire and provide practical tips to give your place some grace. She will help the Graham family make design decisions throughout the series to create spaces that are both practical and beautiful. The total re-build of their rusty and rotting heritage villa is a renovation that Jo and Richard Graham have saved and planned for over almost 10 years. With the arrival of a new baby just weeks away, the timing is not ideal but Jo and Richard are desperate to have a safe, healthy home for their family. They have hundreds of decisions to make along the way – but with Peter and Kate’s expertise they will get the most out of each room.